O’So Brewing Company prides themselves on what they refer to as “Freestyle Brewing”. 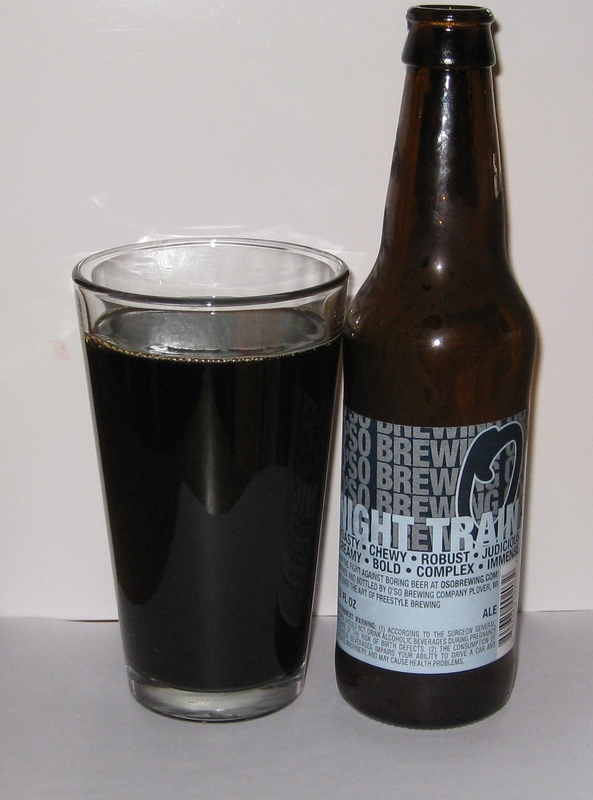 Their Night Train Ale is a perfect example of freestyle brewing success. Night Train Ale is a pitch black oatmeal porter. There is very little head or foam, just a bit of film that floats ontop of the blackest of beers. Night Train’s aroma is mouth-watering. Coffee and chocolate with a hint of black liquorice. The flavors are rich and malty, roasted coffee flavors blending nicely with a hint of chocolate. There is a pleasant hop bitterness that clings to your tongue. There are also the slightest of alcohol flavors…though it in no way detracts from the beer. The finish is dry.